Apple’s Mac infected by Flashback virusLinkedIn passwords stolen. 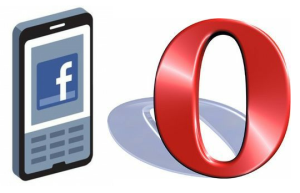 Facebook may be looking to purchase web browser Opera in an effort to enhance the social network’s mobile experience, but such a takeover would cost it around $1 billion. In many ways, Facebook is one of the internet’s top dogs. It has over 900 million active users, and just recently launched the largest initial public offering (IPO) in history with a valuation of over $100 billion. However, there is one thing Facebook doesn’t have: a stellar mobile experience. Prior to the IPO launch, many investors worried that Facebook hadn’t found a way to make money from an increasing number of users who log on to Facebook using mobile devices. The company’s amended S-1 filing with the Securities and Exchange Commission earlier this month mentioned that Facebook revenue will decline as more user’s access the site from mobile devices instead of PCs. “If users increasingly access Facebook mobile products as a substitute for access through personal computers, and if we are unable to successfully implement monetization strategies for our mobile users, or if we incur excessive expenses in this effort, our financial performance and ability to grow revenue would be negatively affected,” said the filing. Now, Facebook is looking to purchase Opera Software in hopes of addressing its mobile problems. The purchase could not only enhance the social network’s limited mobile experience, but also help Facebook draw in mobile game developers and improve mobile monetization. Opera is the perfect answer for Facebook, considering it is available on many different phones and works on various operating systems. Opera makes browsers capable of spanning many platforms like smartphones, PCs, TVs and tablets. In addition, Opera can compress data by 90 percent, which helps users save money on data charges. The browser can also display advertisements efficiently, and it has significant market share in markets where Facebook is barely present, like India and Brazil. However, $1 billion for an Opera Software purchase is a pretty hefty sum. Neither Facebook nor Opera have confirmed the bid, but Facebook could face trouble with competitors like Google who want in on Opera as well. Google and Opera already have a solid relationship due to Opera being a default search partner worldwide outside of Russia/CIS. This means that the search giant likely won’t let Facebook step in so easily. Facebook recently made a $1 billion purchase of photo sharing program Instagram in order to help its mobile presence, but the U.S. Federal Trade Commission (FTC) is currently investigating the acquisition because it is over $68.2 million. There are also reports that Facebook will launch a phone of its own by next year, and may be plotting to purchase HTC to do so. The phone is code-named “Buffy” for now, and will have HTC hardware with Facebook making the software.